Warmer weather is here at last, and that means it’s time to dust off the grill and get barbecuing! Whether vegan or carnivore, there’s something for everyone, and there’s nothing like outdoor grilling to raise the taste meter of any food type—from sizzling veggies and savory seafood, to scrumptious cheeseburgers or grilled chicken—a barbeque lifts any food item onto a plane of sweet, spicy or smoky deliciousness. The tradition of the outdoor BBQ rolls back through the eons, and while other culinary fads have come and gone, our love for grilling seems to be forever. 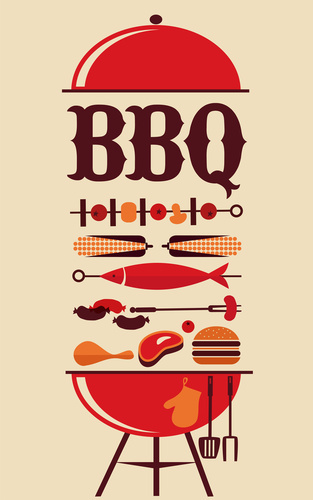 The BBQ even has its own honorary day—May 16th is National Barbecue Day. At The Cuyahoga Group, not only do we specialize in the very best of workplace vending and market options, our Catering Division chefs have years of experience and talent in bringing the all-American BBQ right to your workplace parking lot! Want to instantly raise employee morale? Have a cookout in your parking lot! Whether your staff loves savory brisket, seared veggies, baby back ribs, good old fashioned hot dogs, brats and hamburgers—or all of the above, our Catering group has you covered: We do all the set-up, grilling, serving and clean-up—and all you have to do is make sure your employees show up! We also provide indoor or outdoor catering for all shifts! So, make your associates happy this summer with our top-rated BBQ fare—right outside your door! For more information on bringing a barbecue to your business or organization, please contact Andy Yanak, Head Chef with The Cuyahoga Group Catering Division: AYanak@CuyGroup.com. Click here for more information on a variety of indoor and outdoor Catering options at The Cuyahoga Group.